Consider our saving weeks 7=6! For the third person staying in a double room: 20%. Children’s discounts are valid only if children sleep on an extra bed in their parents’ room, with two guests paying full rates. Rates are quoted half-board per person per day in a double room, including all taxes, for a minimum stay of 4 days. Pets are not allowed. Please note that your room will be ready from 2 pm on your day of arrival and should be vacated by 10 am on your day of departure. We would like to inform you that, under current legislation, only bills of under €3,000.00 can be paid in cash. In the case of early departures, we charge 70% of the remaining booked period. 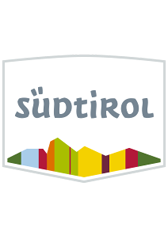 On January 1st 2014, a visitor‘s tax was introduced in South Tyrol. The revenue from this tax is used for the renovation and maintenance of infrastructure and services and for the organisation of cultural and sporting events. The visitor’s tax is collected by the accommodation establishment and is charged per person per night. The amount varies according to the category of the establishment, and is charged at €1.50 for four-star establishments. Children under the age of 14 are exempt from the tax. The visitor’s tax is payable on departure and is included as a separate entry in your hotel bill. Discover the variety-packed offer available only to GuestCard holders. You receive a discount of at least 10% on the regular entrance ticket to over 100 museums, cable car facilities and sport and leisure facilities in and around Meran.